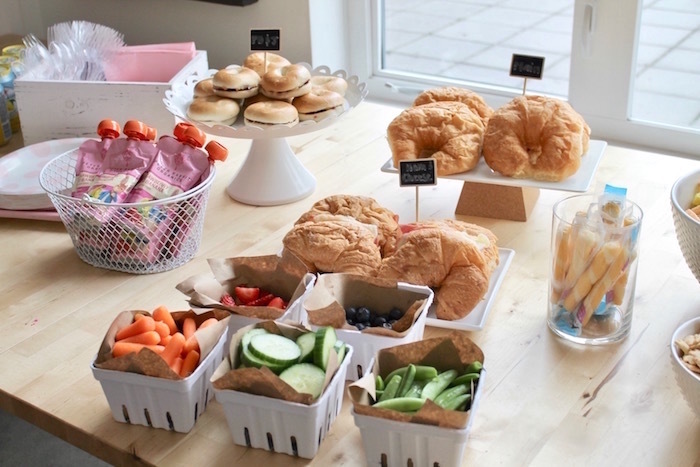 Looking for an easy Spring-time party idea? 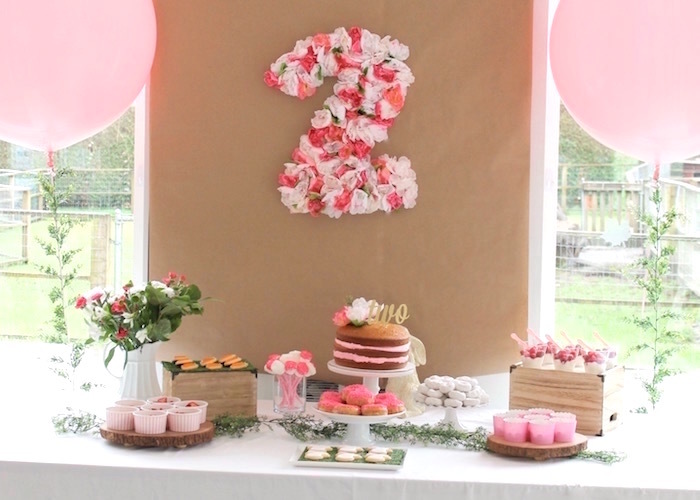 Get ready to sigh, because this “Somebunny is Two” Farm Birthday Party is hopping on by! 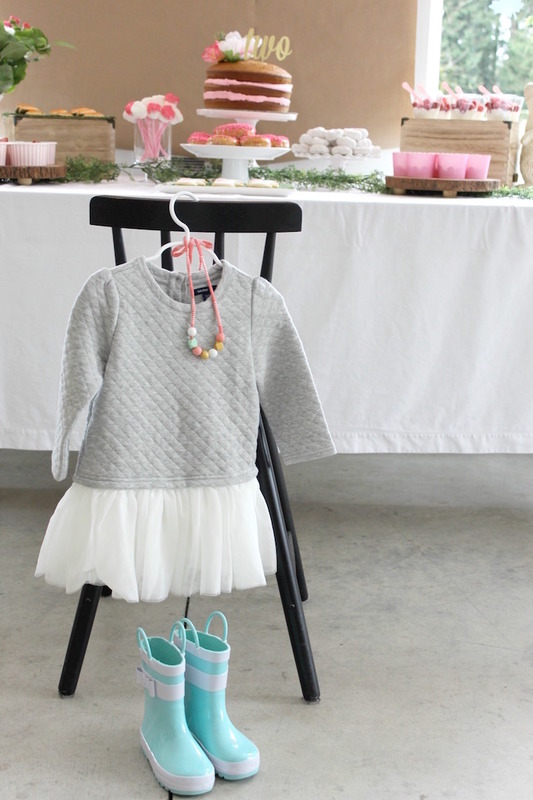 Styled by Jessica Wright of This Sweet Happy Life, out of Vancouver, BC Canada. 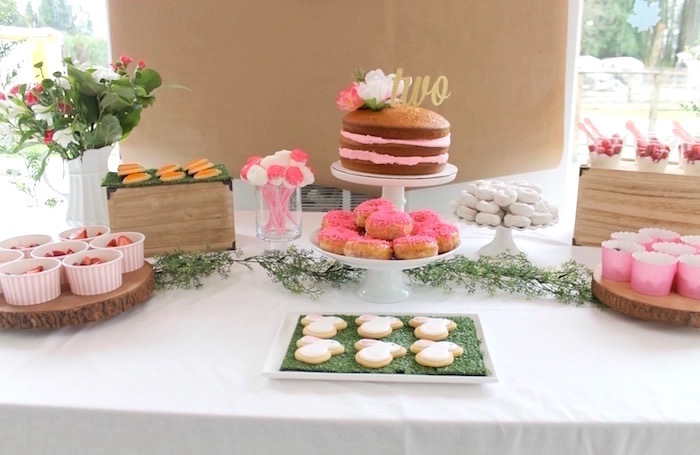 This sweet event, with its lovely green garlands, woodland sweets and fluffy florals, just to name a few, will have you swooning! 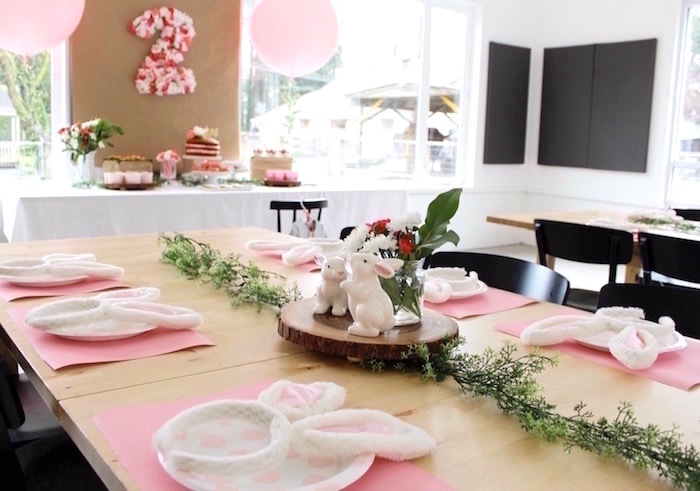 This is what Jessica shared about the party- “Like most young children, my daughter is obsessed with animals. 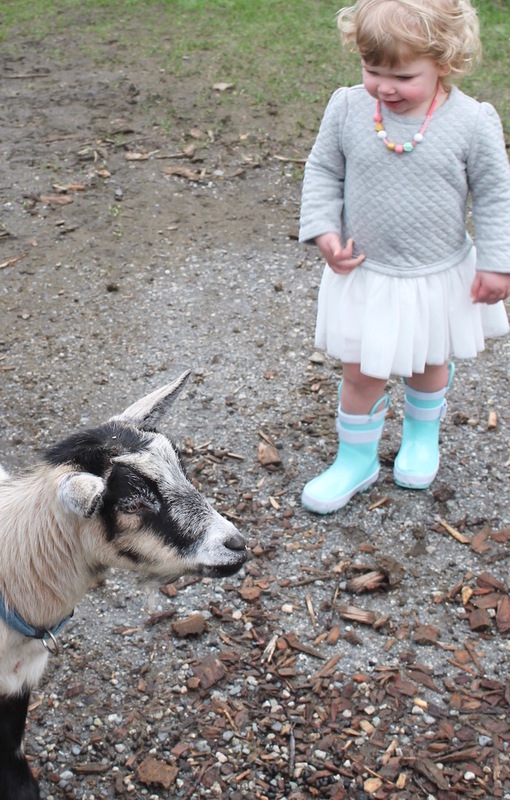 So, when figuring out where to host her second birthday, the local farm seemed fitting. 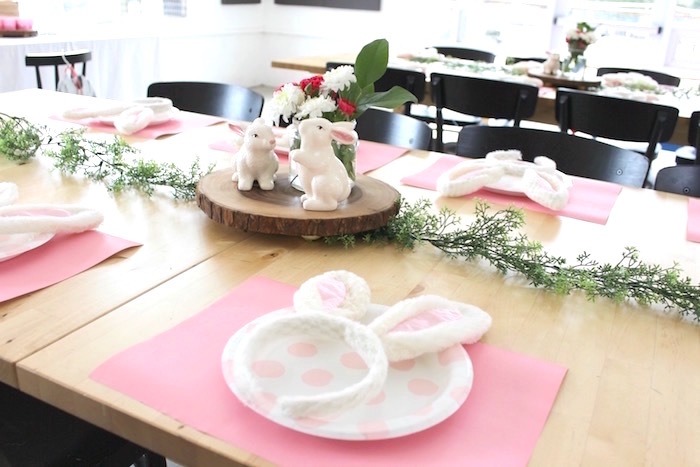 Instead of going with a traditional white/red plaid farm theme, I wanted something a bit more of a girly style for the party. 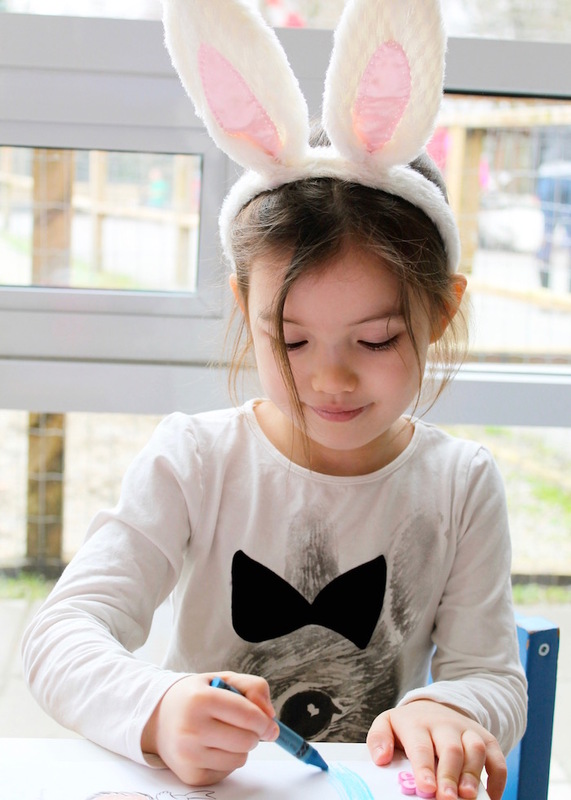 I decided a woodland bunny theme worked perfectly, considering the farms mountainous location. 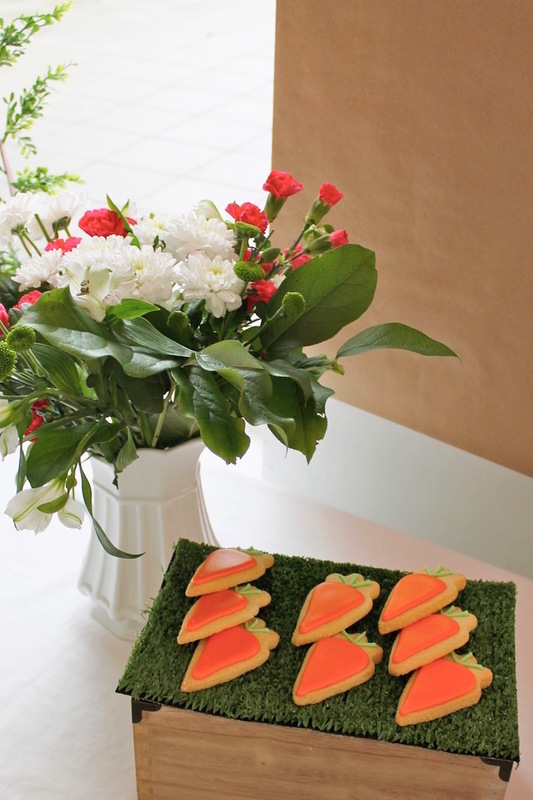 I kept the dessert table simple; I found the most adorable pre-made cookies shaped like bunnies and carrots at a local store. 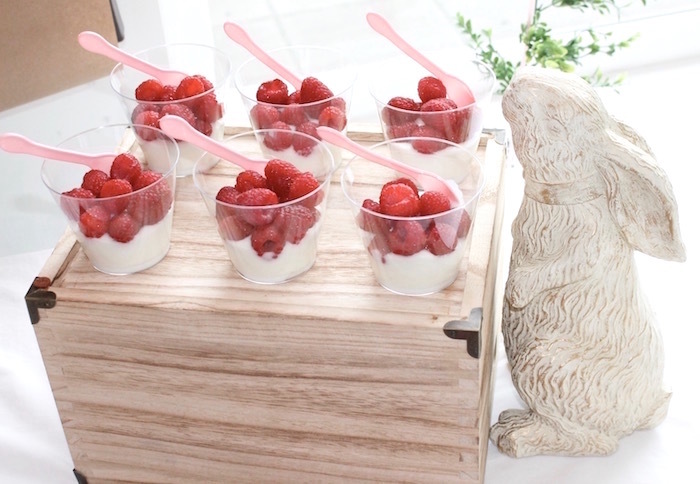 Other treats included mini white donuts, marshmallow pops, and yogurt cups. 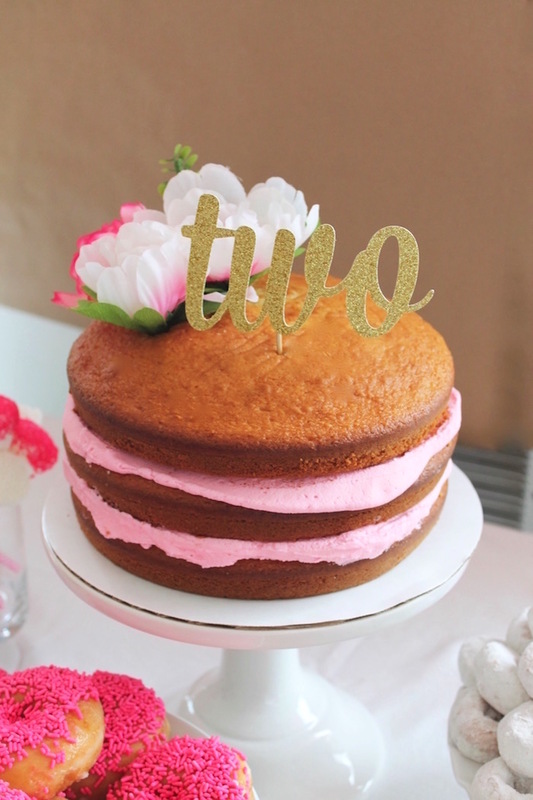 A simple naked cake with a two cake-topper and some flowers completed the table. 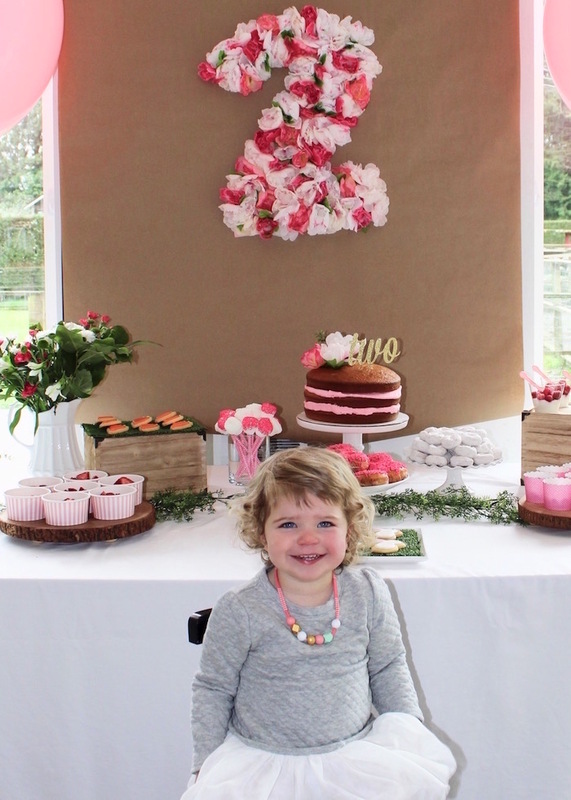 I also created a fun floral backdrop. I made the floral number two out of poster board and fake flowers from the dollar store. 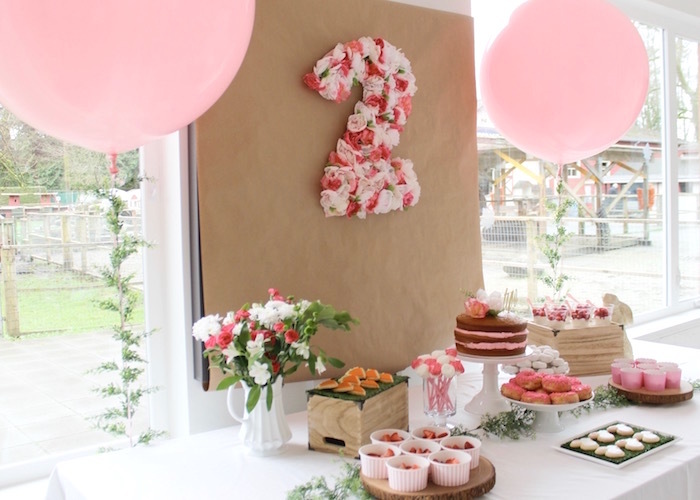 The look was finished off with a couple of large pink balloons with greenery added on each side. I also managed to find some cute bunny ears and figurines at the dollar store, thanks to Easter being right around the corner. 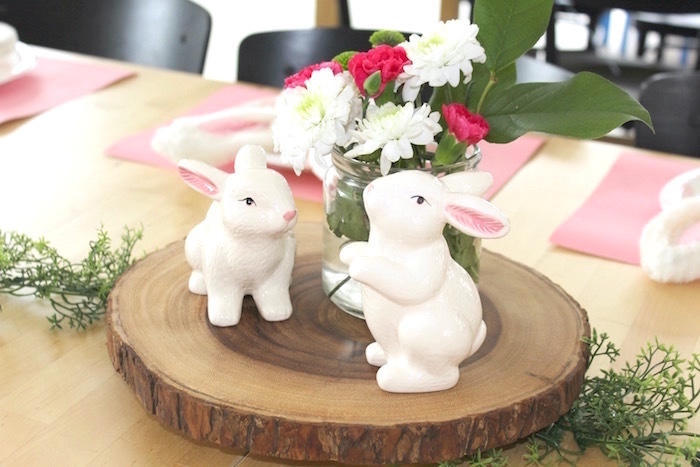 I filled up a couple jars with some pink and white flowers and placed them on wooden chargers to complete the table setup. 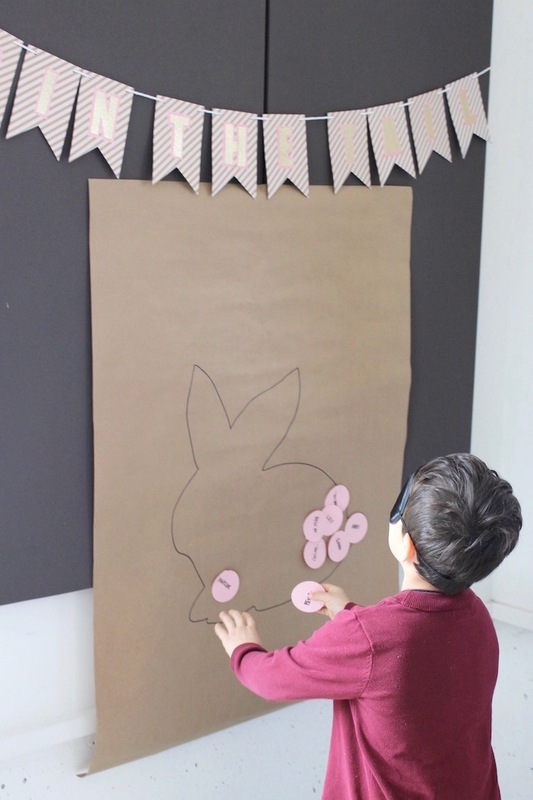 Noting the younger crowd, activities included Pin the Tail on the bunny, coloring and a piñata that had strings to pull instead of having to hit it with a stick. 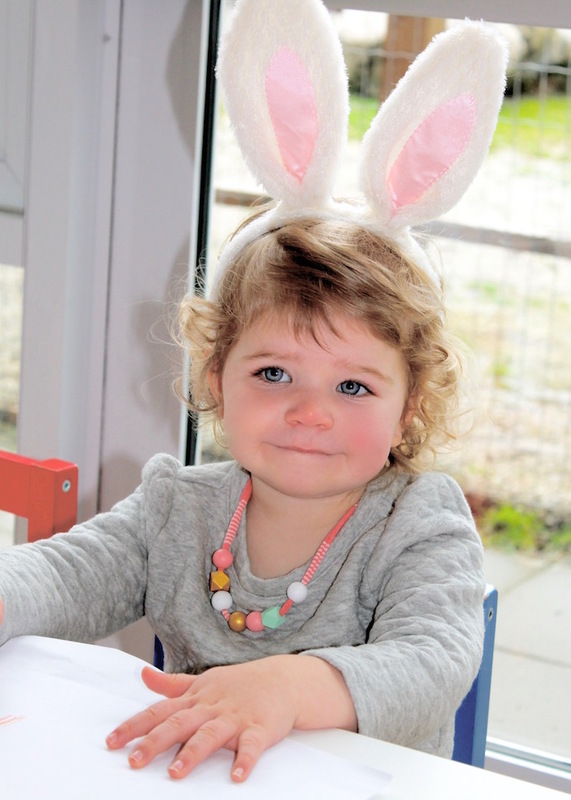 And of course, the highlight was the kids enjoying the farm and all the animals (including bunnies of course). 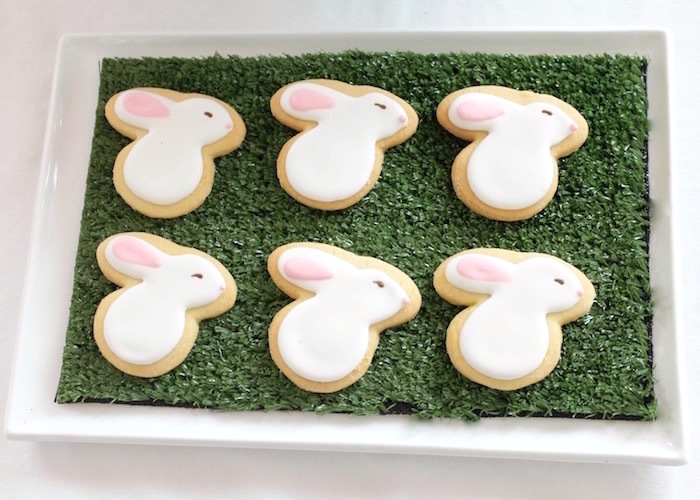 Some bunny loves these parties too!